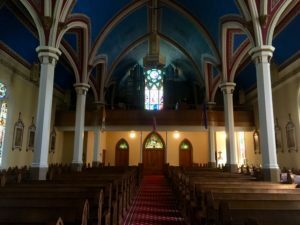 Prairie Postcard: St. James Basilica! Greetings from the St. James Basilica in Jamestown, North Dakota! 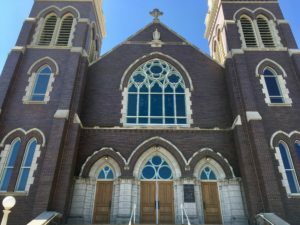 Built between 1910-1914, the St. James Basilica can seat more than 600, and still utilizes the bell of its predecessor which was cast in 1886! The beautiful church was elevated to a Minor Basilica in 1989, and was rededicated after a major renovation in 1994. 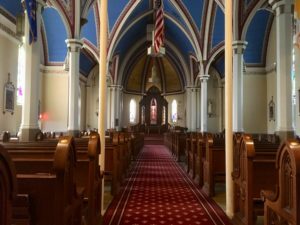 The stained glass windows of the church were added after a large donation was made in 1914, and contributed to the church being listed in the National Register of Historic Places. The 13 colored windows include Biblical scenes, as well as a depiction of St. Cecilia (Patroness of Music) in the choir loft, and the coronation of Mary. 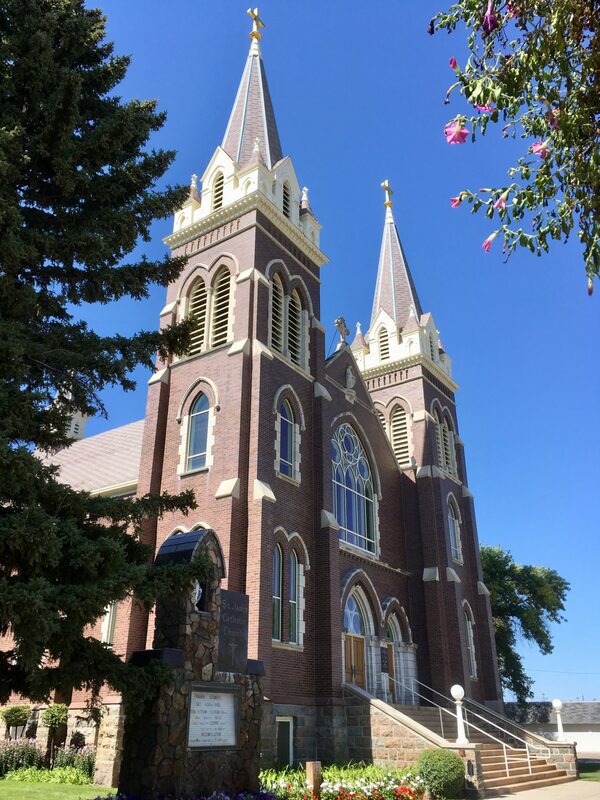 Visit the St. James Basilica at 622 1st Ave. South in Jamestown, North Dakota. It is open daily for personal viewing tours of the stained windows from 7am-8pm. Perhaps someday I will meet you there on a Saturday morning!